We are blessed to have an abundance of nice playgrounds in our town. 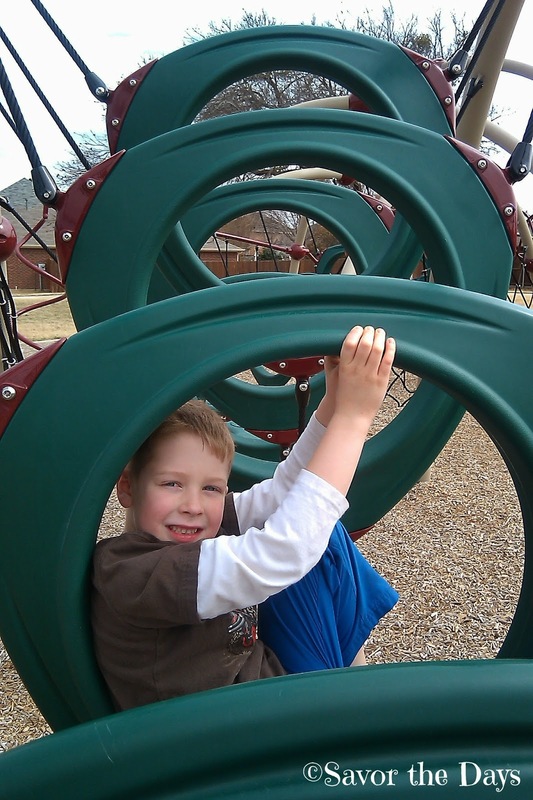 Several are a short walk from our home so we love to spend our free time running and climbing and coming up with creative games on the playground equipment. 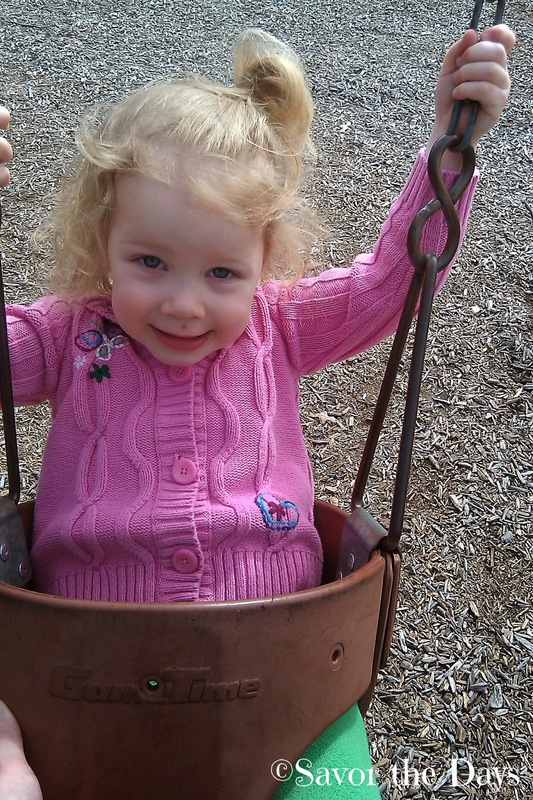 Rachel's favorite thing to do is swing. She squeals with delight as she swings in the air. She also loves it when I get in front of the swing and pretend like she's accidentally just kicked me as she swings forward. She knows I'm just being silly so she giggles and begs for me to do it again! Nicholas loves to climb so he loves playgrounds like this that have really unique climbing structures. Going to playgrounds are a great way for young children to practice their gross motor skills for gripping, walking, jumping, balance, climbing, and of course running. Oh, I've got to go now. Rachel is fussing at me to get to the bottom of the slide to catch her. Can you just hear her whine in this picture?